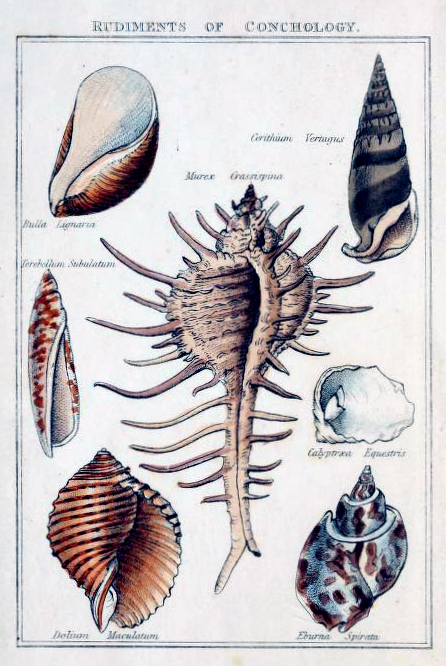 Selected from a 17th century science publication, this free antique illustration features seven beautiful examples of sea shells. Perfect for teachers and artists alike! This illustration is great for blog graphics, educational sites, and even DIY craft projects. You may use this image in your personal or commercial work without permission. Please give credit to FreeVintageIllustrations.com when posting this image on your website, blog, or social media.